Dal 1987 la nostra cucina è espressione di un territorio unico al mondo: la Laguna di Venezia e il suo entroterra. Ricercare, valorizzare e proporre i prodotti e le varietà locali: da qui nascono i piatti creati dallo chef e patron Cesare Benelli e da Paolo Semeraro. Pesce freschissimo pescato tra le barene o nel vicino Mare Adriatico; verdura e frutta dal sapore unico, cresciute sulla terra salmastra del Cavallino, di Treporti e delle isole di Sant’Erasmo e delle Vignole, da sempre gli orti di Venezia. Pasta fresca, prodotti sott’olio e sott’aceto, gelatine di frutta e marmellate sono tutti fatti in casa, così come i dessert, specialità di Diane Benelli. Tradizione e territorio, passione e freschezza della materia prima, nella costante ricerca della qualità assoluta. Selezioniamo con cura i migliori oli extravergini d’oliva per i nostri piatti, mentre la carta dei vini annovera circa 240 etichette dai migliori terroir nazionali ed esteri, con particolare enfasi sulle produzioni naturali e biodinamiche. 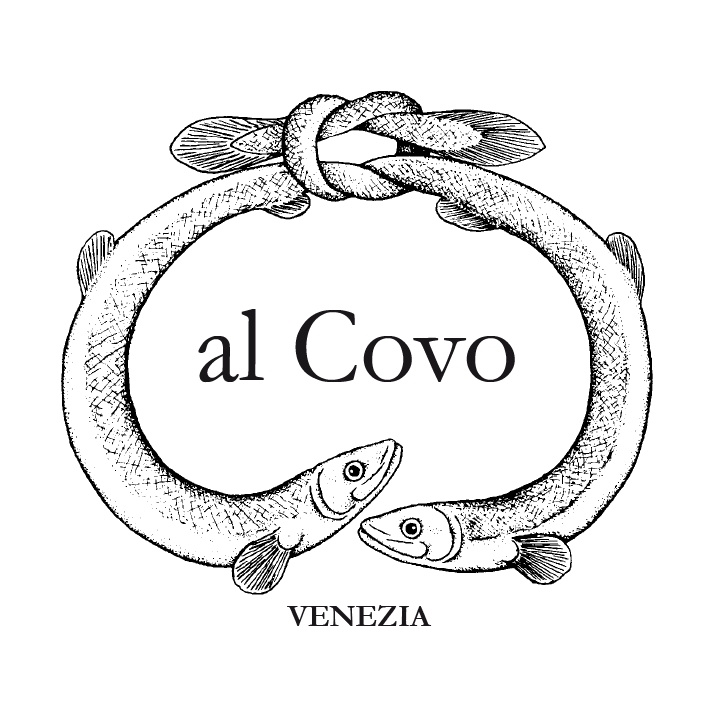 Il ristorante Al Covo fa parte dell’Alleanza Cuochi e Presidi Slow Food, e dell’Associazione Ristoranti della Buona Accoglienza Venezia. Since 1987 our cuisine is the expression of a territory which is unique in the world: the Venetian lagoon, her islands and her surrounding mainland. The dishes created by Chef and owner Cesare Benelli together with Paolo Semeraro come from our mission to research, appreciate, defend and propose the local products and varietals. Tradition and territory, passion and freshness of locally-sourced ingredients, in a constant quest for the utmost quality. We carefully select the best extra-virgin olive oils for our dishes, while our wine list numbers 240 labels from the best national and foreign terroirs, with particular emphasis on natural and biodynamic producers. Ristorante Al Covo belongs to the Alliance of Chefs and Slow Food Presidiaand to the Association Ristoranti della Buona Accoglienza di Venezia. Beautiful restaurant with lovely, friendly staff. The food was very good. My meal at Al Covo ranks as undoubtedly one of the best of my life. The food, the atmosphere, the entirety of the experience was superb. We had a lovely lunch here, really special. Staff were attentive and looked after us well. Food was exceptional, would highly recommend. Our best meal in Venice. Highly recommend for local cuisine and a gracious, knowledgeable staff. We appointed a reservation to this restaurant after reading so many comments and watching Anthony Bourdain’s episode. But to be honest it wasn’t remarkable at all. The ambience is familly friendly. The ingredients are local and fresh but their cuisine didn’t take the extra mile that I usually seek in highly recommended places. Our time visiting, always a delight. The food, service, and friendliness were excellent. The only reason 4 stars vs 5 stars in some areas is I had sole which was excellent, but I felt portion was too small. At a minimum there should have been some vegetables or something so I did not leave hungry. My wife had the beef and that was a larger portion, but it had potatoes and a salad. That is an example of what was missing. Wonderful experience. Food was incredible, great service and friendly atmosphere. Found out about Al Covo on “Somebody Feed Phil” and it did not disappoint! Incredible dinner - one of the best we’ve ever had! Food, service and wine all outstanding. Thank you for making our trip to Venice even more memorable. Wonderful lunch! Wish we could have snagged a dinner reso as well. Great wine list, great food and great service! Thank you for an awesome night! There were some issues with our meal in the kitchen which the staff were very good about as they kept us informed but we were waiting for our food for an hour. But i had the monkfish and the Panna cotta which was absolutely sensational. My partner had the cod which was also very good but not as flavourful as the monkfish. Good quality food, excellent service. The dishes are a little bit small, compared to the high prices. Best meal and evening in Venice. Trust the chef and the maître d'... these professionals will take care of you and provide you with exquisite preparations of local seafood and vegetables. They prepare with a delicate sensitivity to the thrust and parry of different flavors. For us, it was an evening to remember. A warning that smoking is permitted with outside seating would be helpful. Service was so welcoming and friendly. The food was lovely apart from the odd egg sandwich that was brought as an appetiser! The wine selection, especially skin wines, was excellent. I sat outside on a lovely sunny day and was very impressed with the little stool to prevent my ba getting dirty on the floor. A lovely touch!